I am Teresa Durga Schoendorf, Mastery Higher Brain Living® Facilitator. I provide tools for transformation to individuals and groups who want to access the power of each moment in order to burst through blocks, achieve clarity, find a sustainable joy in living and create a better life and a better world. Prior to Higher Brain Living®, as a high achiever with a successful life in New York City, I was overcome with habituated worry and negative thinking. I began to explore many different practices and modalities and meditation techniques. A great yoga practice or a meditation session, a study-vacation by the ocean or a powerful workshop or performance experience would reduce stress and even activate peace and joy, but these effects were always short lived. The states were temporary and not sustainable throughout every day life. Sound familiar? Eventually, even with my best efforts to do “all the right things” to be healthy mentally and physically, I found myself with a debilitating depression. When I started Higher Brain Living® I was in a deep depression. After I began my sessions the clinical depression I was experiencing went away–completely. And after completing the Higher Brain Living® Program, all of the life-enhancing modalities and practices I already knew to do worked better than ever as I was able to increase my ability to be in the present moment, not matter what I was doing. So I became a Mastery level Higher Brain Living® facilitator and want to help you find your point of power in the present moment. Where does Higher Brain Living® come from? Higher Brain Living® draws from — and expands upon — familiar holistic energetic practices like therapeutic massage, acupuncture, meditation, and yoga. Higher Brain Living® has been verified by EEG in neuroscience studies to increase energy into the newest part of your brain, the prefrontal cortex or higher brain. An electroencephalogram (EEG) is a test that measures and records the electrical activity of your brain. The prefrontal cortex controls executive functions of the brain. It is the part of the brain responsible for calmly assessing situations, making clear decisions, appropriately managing primal fear responses, and stimulating positive emotional experiences around purpose, meaning, gratitude, and joy. With more energy in the prefrontal cortex, everything else you do to create a healthy, happy, productive and successful life is optimized. 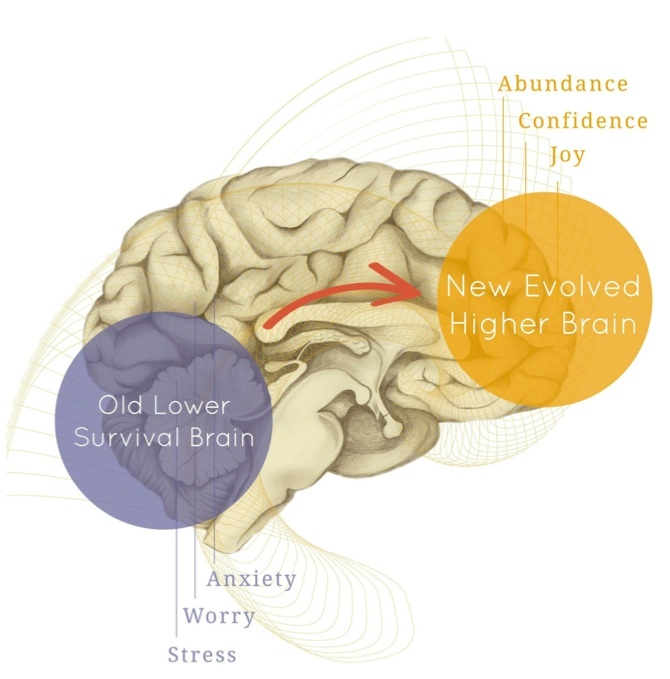 Rerouting energy from the lower brain to the higher brain, maximizes all other personal growth modalities you may use to create the new neural pathways and habits that enable you to live a joyous life now. 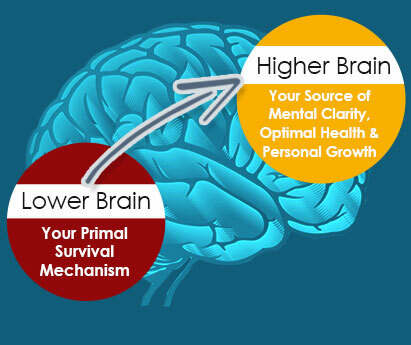 What do I need to do to sustain the positive changes I make with Higher Brain Living®? Vocal Meditation™ and Higher Brain Living® techniques expertly guide you to acquire the tools you need to live your best, most joyous life now. I have over 25 years of experience in the field of human potential and growth. I work with individuals and groups and have facilitated large and small groups around the globe for a variety of institutions including Lincoln Center for the Performing Arts in New York City. Meet Miracle Mind and Awake to an Embodied Life!